Red Robot Co-founder Duncan Amos with Tim Gavel. Photos: George Tsotsos. If first impressions are anything to go by, the Red Robot factory in Fyshwick has the potential to change the world. 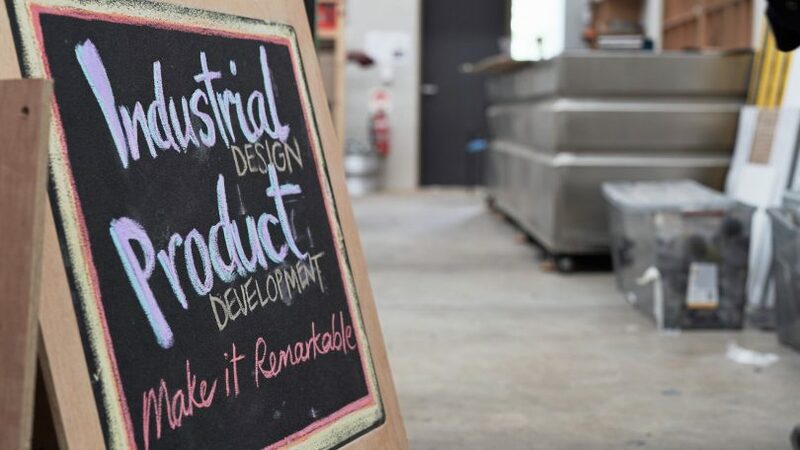 This design and manufacturing hub is the virtual meeting point for ideas to meet reality. Nothing, it would appear, is out of the realm of possibility. In practice, this means that designers and innovators come up with a concept, Red Robot then ascertains whether it can be transferred into reality and into the market place. Then, they make it happen. Tim Gavel visits the Fyshwick headquarters of Red Robot, where anything is possible and the only limits are your imagination. 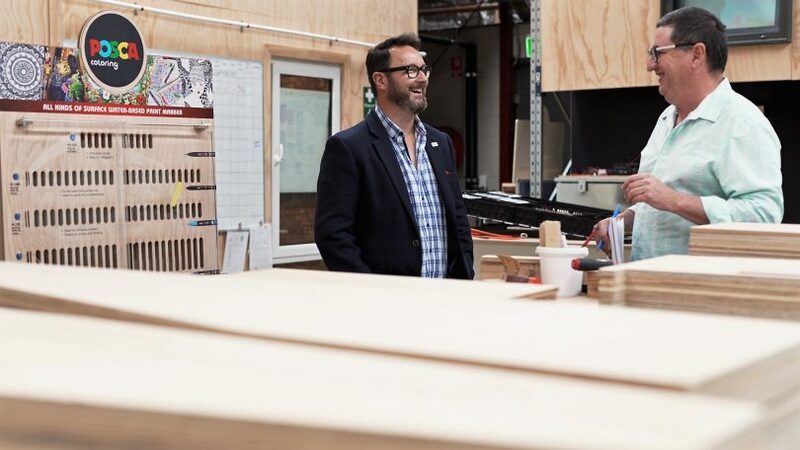 Co-founder Duncan Amos takes Tim behind the scenes of the extraordinary factory which has helped more than 600 people get their business idea off the ground. Click play below to hear how Red Robot’s designers and innovators can help you translate your concepts and ideas into reality. To see examples of what Red Robot has developed really brings the brilliance of this company to the fore: The award-winning portable, single-operator photo booths built for digital technology; high capacity generators powered by solar; stylish, highly-secure Posca Pen display units; and a spill-proof drinks carrier for bars and breweries. Duncan Amos and Phil Preston co-founded Red Robot in 2011. This was four years after they started building their first mobile photo booth in Duncan’s garage in Palmerston. There was plenty of testing before it was felt as though the photo booth was ready to sell commercially. Since then, the mobile booths have been sold in over 30 countries, thus establishing an income stream for the purchaser. Red Robot fosters a collaborative working space. Duncan says the key to Red Robot’s success is working in collaboration with others. This vision was realised when he was 27 years of age. Newly married in 1997 and already armed with business experience and an entrepreneurial flair, Duncan headed to South Africa. It ended up being a huge learning experience for him, providing a catalyst to start thinking differently. This is when Duncan learned that anything great is achieved through collaboration; the solo, ‘guru’ approach was not the way. Red Robot emerged as a result of this experience as an award-winning, innovation factory, where ideas come to life. To walk around this Fyshwick-based establishment and take in the concepts that are taking shape is an experience that I will never forget. 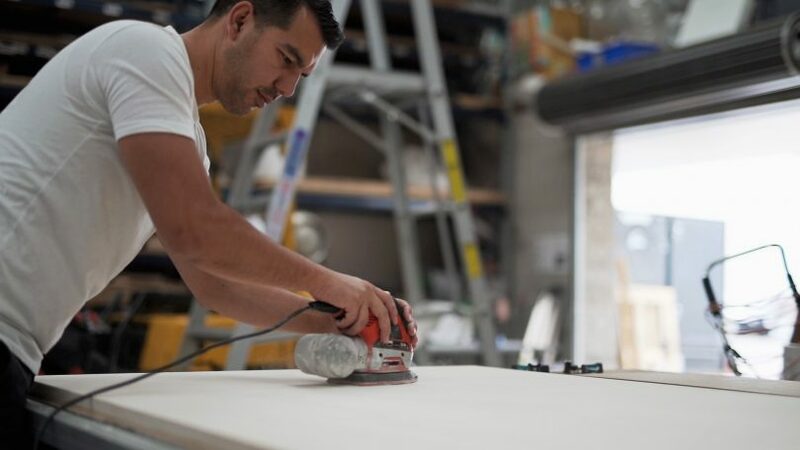 One project taking shape and very much in the development phase is a portable restaurant, while a pop-up bar, which converts into a DJ station, is well progressed. Elsewhere, unique portable display units are being built. There is a concept known as Liquid Graphics where plastic is coated in Kevlar, and work is in progress on innovative unique signage. Everywhere I look, there is something going on with collaborators taking ideas through to developments. Spend some time with the people at Red Robot and you too will walk away believing anything is possible.